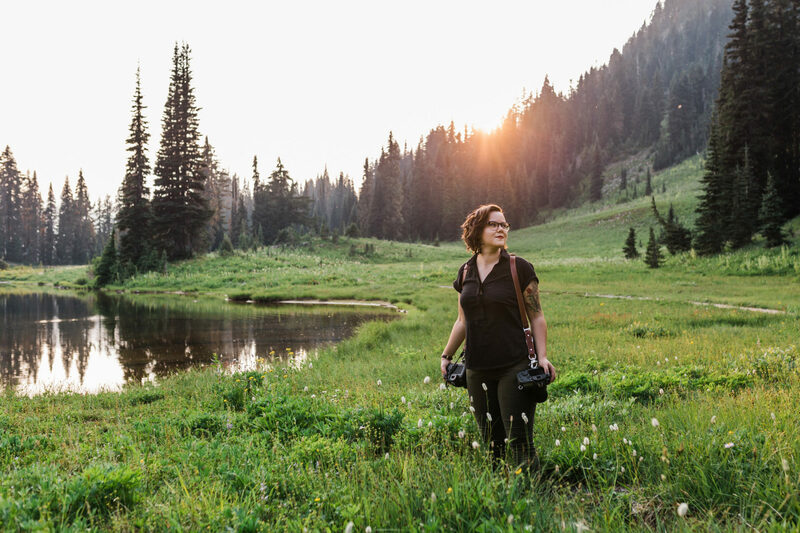 What is an adventure photographer? An adventure photographer is a professional photographer who is passionate about the outdoors, isn’t afraid to shoot in dynamic weather conditions, seeks out landscapes and experiences to be part of their photography. 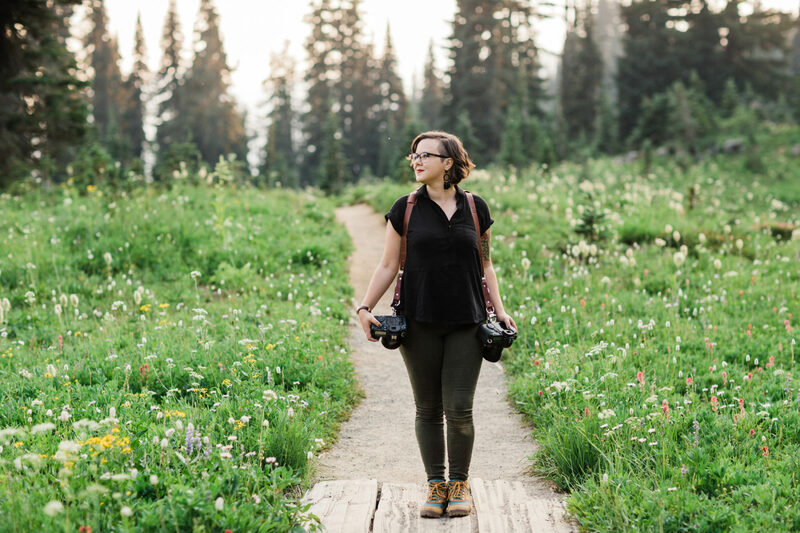 I’ve always felt a sacred connection when creating art and photography in the outdoors, and that’s what has led me to adventure sessions and elopement photography. I wanted to experience these places with others, and create where I am most inspired. What makes me different than other adventure photographers? While I happily go exploring and traveling in other states and countries (I never would say no to a trip to Europe), Washington State is my home. I live here. This is where my expertise is. I’m familiar with Washington’s landscapes and weather patterns. I spend my time hiking in Washington more than anywhere else in the world. Adventure and fun are values I make time for in my personal life! I schedule time every year to camp and hike, exploring new places, and old favorites. There is always something new to discover wherever we go. I won’t just do anything for “the shot” we will respect the land we are on, stay safe, and have a lot of fun enjoying being on the trail. Every photographer has their niche, and weddings and elopements near Seattle, and the Pacific Northwest National Parks, is mine. I photograph couples on mountains not just because the scenery is epic, but because a lot of my clients, like me, love these places. They are adventurous, they love to travel, are activists for our public lands, and respect The Leave No Trace Seven Principles. For my clients, there is authenticity in having an adventure wedding. These locations for their elopement are meaningful to their relationship. I enjoy helping my couples find locations that are meaningful to them, so when they look back at their photos, every part of the image tells their story. How do I find the best locations to elope? I hike! I often and scout out different locations near Seattle, or travel further to explore different hiking trails within the Washington area and it’s many National Parks. I believe it’s important to respect the trails and land we are on and will follow the LNT principles in the outdoors, and teach these principles to others. Adventure has a different meaning for each couple I meet, so I have a range of locations and hiking distances from less than a mile – 8+ miles. Are adventures weddings for elopements only? Not at all! 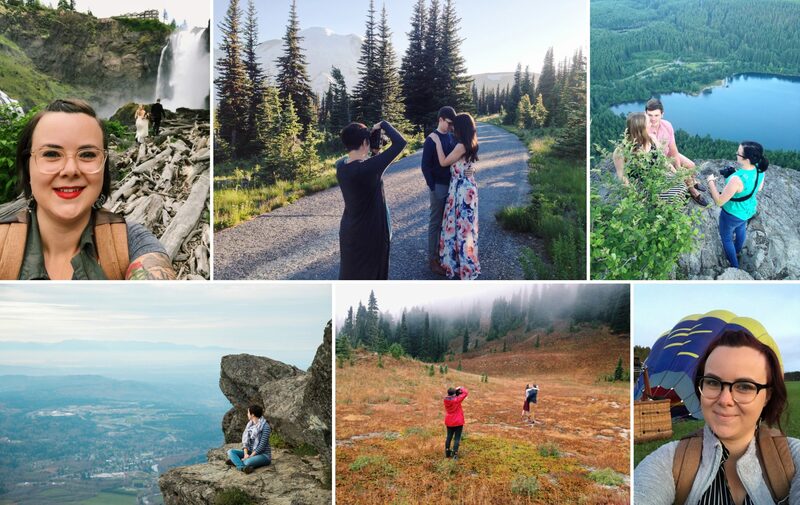 Washington State has plenty of beautiful mountain or coastal wedding venues so you can have all your friends and family celebrate with you at your dream location for adventurous wedding photography. Adventure weddings are about celebrating in the outdoors, and experiencing they beauty of the outdoors as you say your vows. Whether you elope just the two of you, have an intimate wedding with your closest friends and family, or have a large celebrations with all your loved ones is your choice! Adventure weddings are perfect for the couple who want a day that celebrates them equally, and want to have a unique ceremony that differs from what the traditional wedding industry tells you your wedding day should look like. Planning an adventure wedding or elopement? I’d love to chat with you about your wedding photography! You might also want to read my list of best places to elope in Washington, and near Seattle.